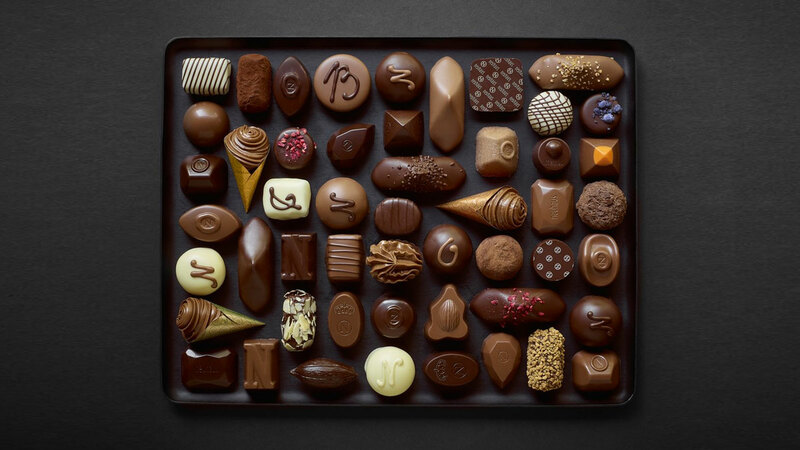 Having been the joint giver / recipient of Neuhaus Chocolates' Winter Wonderland pop-up advent calendar this past holiday season, I can say with certainty (and praline and ganache all over my face) the Belgian chocolate brand makes one of the best advent calendars in the land. 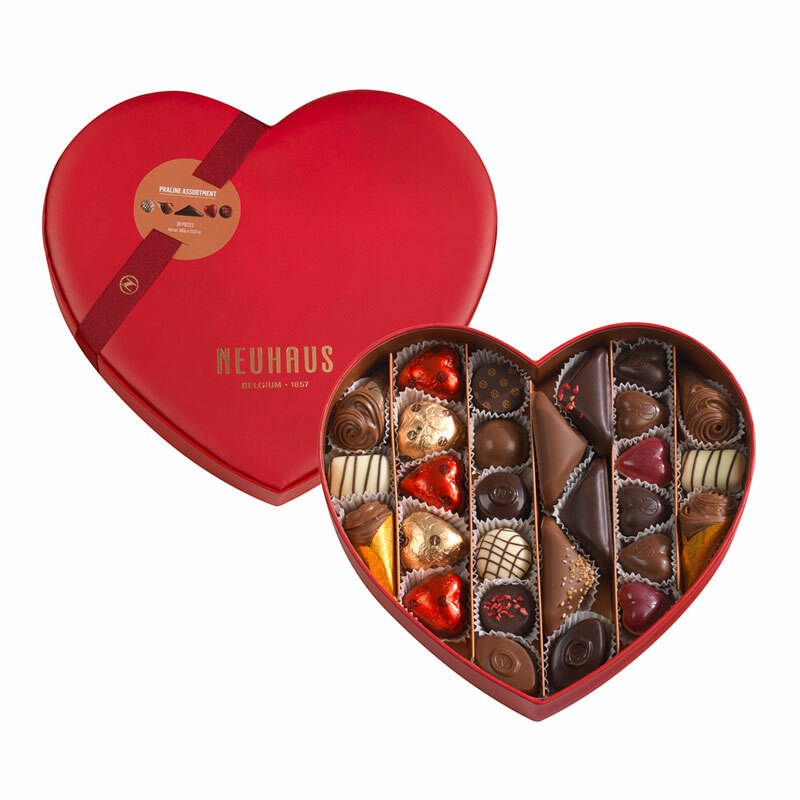 If you're looking for a last-minute gift for Valentine's Day, or any occasion / attempt at an apology, Neuhaus' other themed and non-themed chocolate boxes will deliver the same level of creativity and toothsome pleasure. 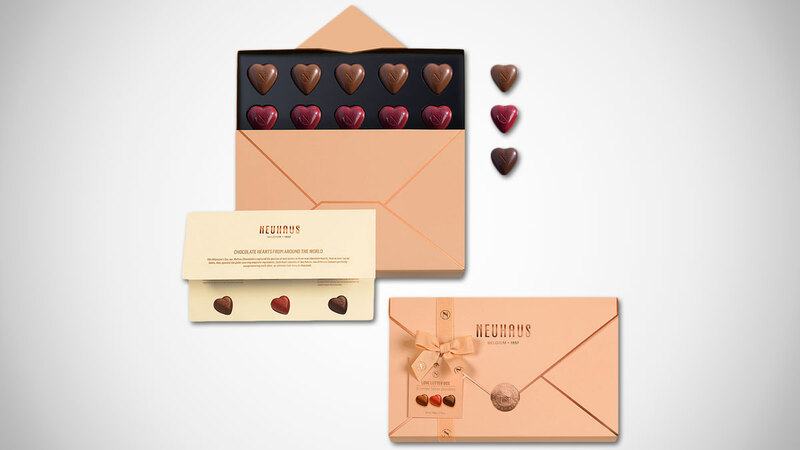 I actually know this firsthand too, but yesterday I sampled the 3 Belgian praline flavors included in the Neuhaus Valentine Love Letter gift box. Deemed Love Letters from Around the World, the box is shaped and designed like a dusty pink envelope, with a sealed flap that opens to give lucky ladies and dudes like me access to a tray of 15 heart-shaped Belgian Pralines kissed with a bushel and a peck of worldly flavors. 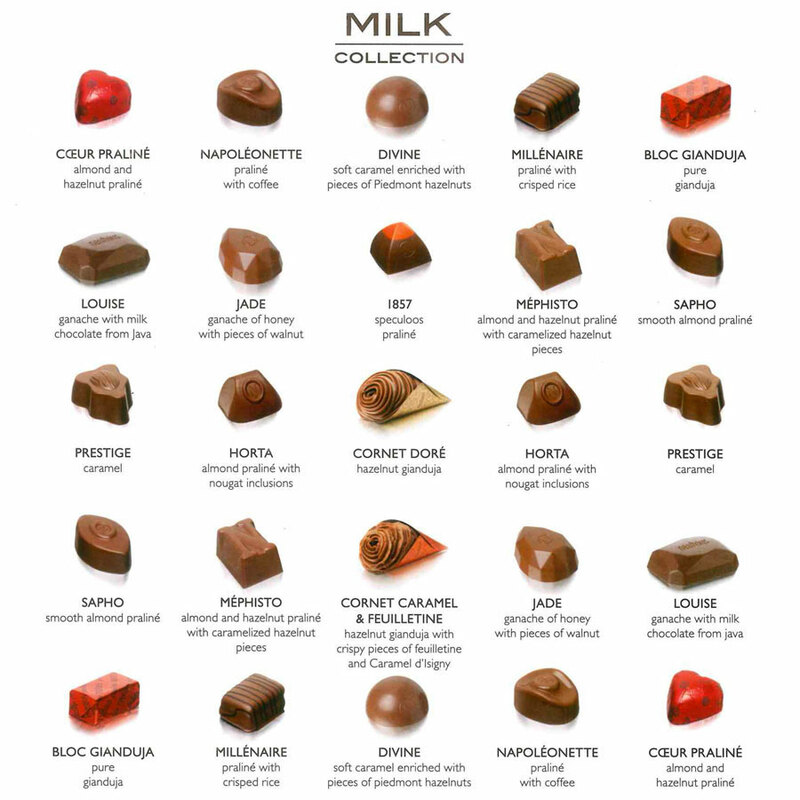 Valentine Love Letter chocolates include: white chocolate and raspberry with Yunan green tea; dark and white chocolate with unrefined Colombian panela sugar and Espelette pepper; and milk chocolate with Madagascan vanilla and French sea salt caramel. 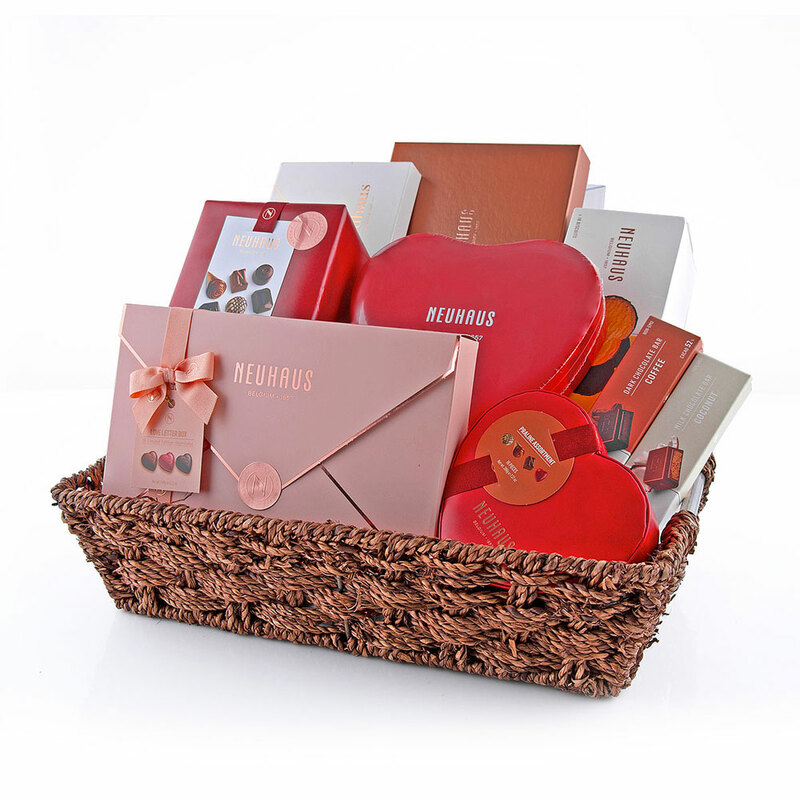 Neuhaus also has more traditional Valentine's Day box o' chocolates options in various praline counts, plus a whole line of other chocolate and chocolate-free specialities to suit other personal, professional, and corporate needs.